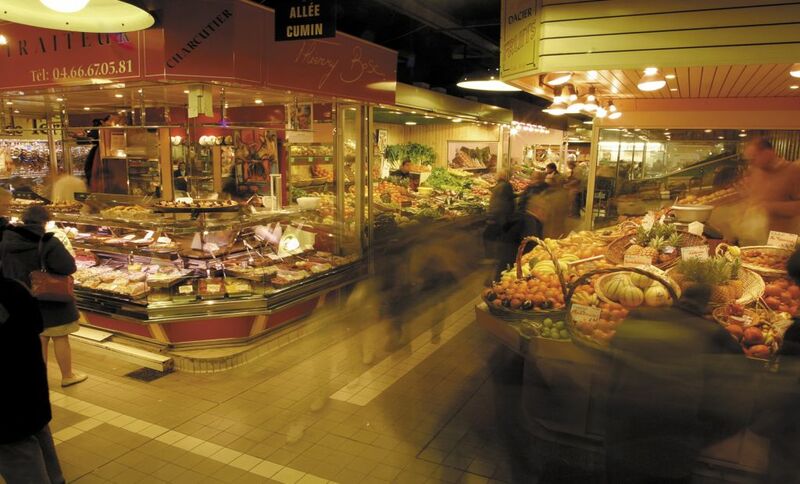 A beautiful site, the covered, air-conditioned market in the centre of Nîmes displays the produce of about one hundred craftsmen and shopkeepers united in their passion for taste to please our taste buds. All the city centre streets lead to the covered market, making this temple of colours, scents and words an obligatory passage for locals. You don’t only come to the covered market to buy Picholine olives or sea bream caught the night before or creamy Pélardon cheese. No - you also come to this meeting place to join in the inevitable pleasure of conversation.